It is copyright © Elizabeth Smither and Jacket magazine 2010. See our [»»] Copyright notice. when the important shoulders inside fall to dust? or a long white swan for dressing. though admiration is their sense of breathing). Inside the shoulders stiffen a little, then relax. like heads upon a spike, by a bridge or tower. after all this effort) and then stored flat. so alive it is still working itself out. 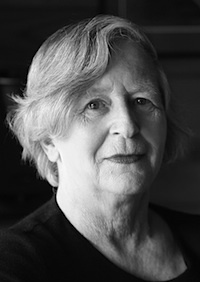 Elizabeth Smither has published 15 collections of poetry. She was New Zealand Poet Laureate 2001–3 and in 2008 received the Prime Minister’s Award for Literary Achievement in Poetry. Her most recent collection is ‘The Year of Adverbs’ (Auckland University Press, 2007).